From field excavations to artifact research, Alyssa Jones’ summer internship with the SCDNR Heritage Trust archaeology team has helped her train for a career that she has dreamed about since she was a child. South Carolina DNR Heritage Trust Program summer intern Kiersten Weber categorizes and maps decorations of Native American bone pins that date back more than four thousand years ago. Her research helps shed light on social links between the various groups of people that inhabited South Carolina and Georgia thousands of years ago. Brooks Taylor writes about his internship with the SCDNR’s archaeology team .  . . and a unique opportunity to unearth human remains on the coast of South Carolina. Follow Second Year Camp Wildwood campers as they travel from King’s Mountain to Walhalla and back. SCDNR Marine Education Intern Alexandra Key shares photographs of coastal organisms caught aboard the Discovery during an educational workshop exploring the Ashepoo River in South Carolina’s ACE Basin, and expresses her gratitude for the diversity of the state’s marine natural resources. South Carolina Wildlife magazine recently joined Tom Mullikin and his son in Camden to learn how to SCUBA dive. In this special SCW Video Spotlight series, Tom and Thomas introduce us to SCUBA diving and encourage exploration. Horry-Georgetown Technical College students Jessica Edwards and Hailey Gibbons share wildlife photography from their summer spent measuring black walnut trees in Nebraska as part of a forestry research project. Here are just a few shots they have captured for South Carolina Wild.